Move in ready flex-space offices conveniently located at I-10 and Cortaro Rd in the Town of Marana, one of the fastest growing metropolitan communities in Arizona. This white paper will give anyone considering starting, relocating or expanding their optics business a variety of reasons to put Tucson, Arizona on the short list of potential cities to consider. Tucson Optics Industry: Arizona’s Optics Advantage. The business benefits are plentiful and one key advantage for those working in Optics and Photonics is that Tucson is home to the premier educational and research institution in optics, photonics and astronomy. The White Paper that answers “Absolutely Yes!” to the question…. 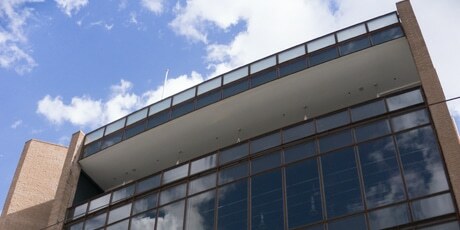 Planning a biotech or bioscience start-up? Exploring relocating or expanding to a city where your bio company can thrive? How about Tucson, where the sun shines more than 350 days a year and the business climate promotes successful entrepreneurship? The White Paper that answers “Absolutely Yes!” to the question…. 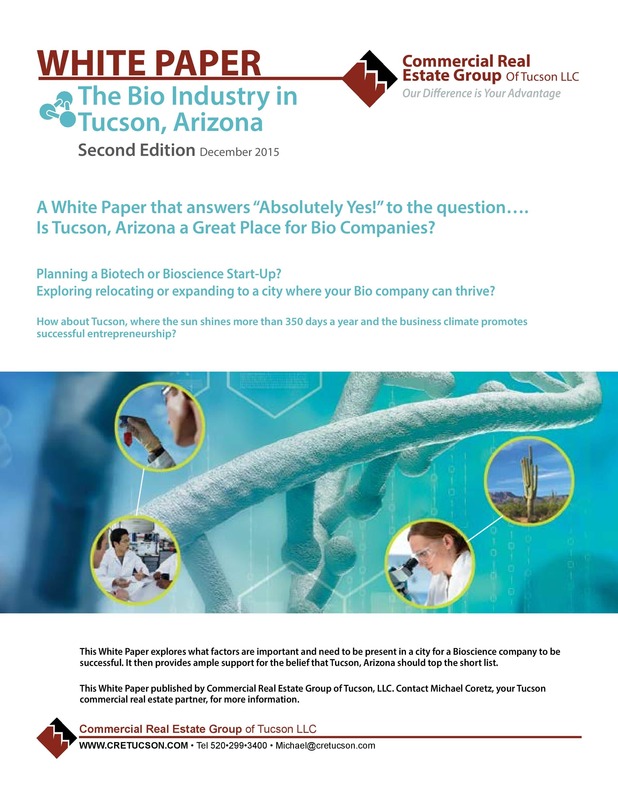 Is Tucson, Arizona a Great Place for Bio Companies? Experienced tenant representatives reveal 10 common mistakes that tenants make when selecting and negotiating a commercial space lease. The following list of common mistakes is the result of a survey taken among members of the prestigious International Tenant Representative Alliance. This Market Snapshot about the Tucson optics industry will give anyone who is starting, relocating or expanding their optics business some reasons to put Tucson, Arizona on the short list of potential cities. In fact, you'll be in very good company if you do. This Market Snapshot offers reasons why Tucson, Arizona should be considered for a bioscience business. This Market Snapshot explores the premise that Tucson, Arizona should top the short list of cities to consider when a company requires a solid logistics and transportation infrastructure for their success or when they serve and support the transportation industry. When you locate to Tucson, you’ll be in very good company. It turns out that more than half of the manufacturing workforce in Tucson, Arizona is involved in A&D-related activity and there are currently over 1,200 companies involved in aerospace and defense manufacturing, training, research and service throughout the city. Tucson is located only 64 miles (103 kilometers) north of the Mexican border and the Nogales point of entry. As the major commercial entry point closest to Arizona’s 300 miles of international border with Mexico, it is uniquely and strategically located as a gateway for international trade. Commercial Real Estate Group of Tucson showcases some of Arizona’s tax incentives for relocating and opening businesses, plus a suite of services. An experienced and reliable tenant representative can make a huge difference in the successful outcome of your search for office space. 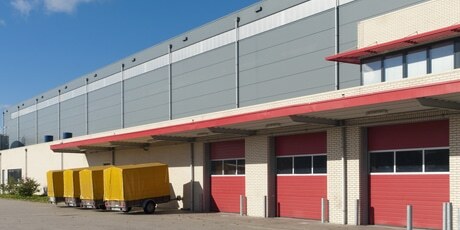 You may want to buy commercial real estate instead of continuing to lease. Do a cash flow analysis to see if that’s the right move. This infographic by Commercial Real Estate Group of Tucson shows the new FASB accounting rules. A tenant representative will help you avoid pitfalls, uncover economic opportunities, save time and money and turn your space into a strategic asset. Tenant Representation is a term describing a licensed real estate professional who represents only tenants and users of commercial real estate. The basis for this representation is that the client company is certain that its agent has no conflicts of interest. In commercial real estate, many business owners looking for office space enter one-sided relationships with building owners as common practice. They do not realize the enormous impact it can have on their bottom line when the wrong person represents tenants. Commercial Real Estate Group llc of Tucson will work with your company to determine your needs and requirements for both the short term and long term. 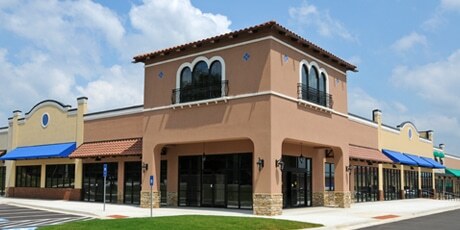 Together we will establish the office space requirements necessary for your relocation. Manufacturing space for Tucson commercial lease and purchase grows —The Tenant’s Advocate by Commercial Real Estate Group of Tucson, April 2019. Local Smart Vehicle Industry will Change Landscape for Tucson Buildings for Lease—The Tenant’s Advocate by Commercial Real Estate Group of Tucson, March 2019. 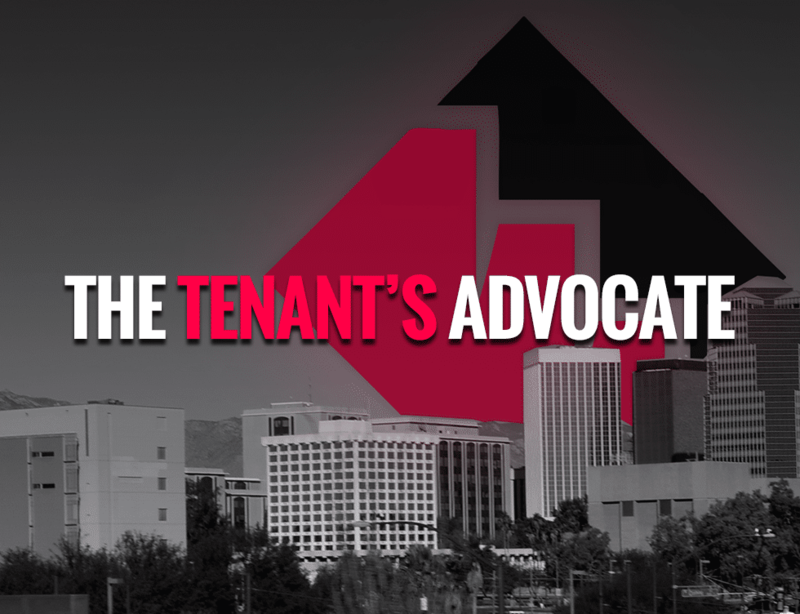 The Tenant’s Advocate, January 2019 – Proposed rules governing O-zone funds open up investment in Tucson Opportunity Zones Also: Arizona Photonics Days coming, check your tax assessment statement, get our Relocation Guide. The Tenant’s Advocate, December 2018 – New innovation activities at the UA open up demand for Tucson industrial office and manufacturing space for high-tech industries. Also: Tenant representation saves you money, CREG Tucson has services from site search to contract signing, Tucson’s high-tech industries.